Lip balms help protect your lips from harmful UV rays and harsh weather like cold and wind while providing nourishment to them. 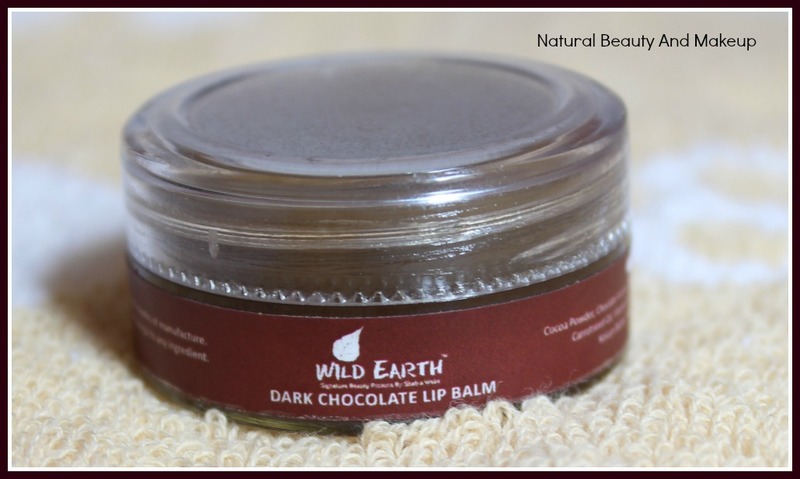 Wild Earth lip balms are made with a blend of shea butter, cocoa butter and kokum butter which leaves your lips soft and supple. This product is SLS, SLES, Parabens, and Animal Derivatives Free. Shelf Life: Use within 12 months of manufacture. Availability: Online. You can find here also. Claims: To provide you with soft and supple lips. 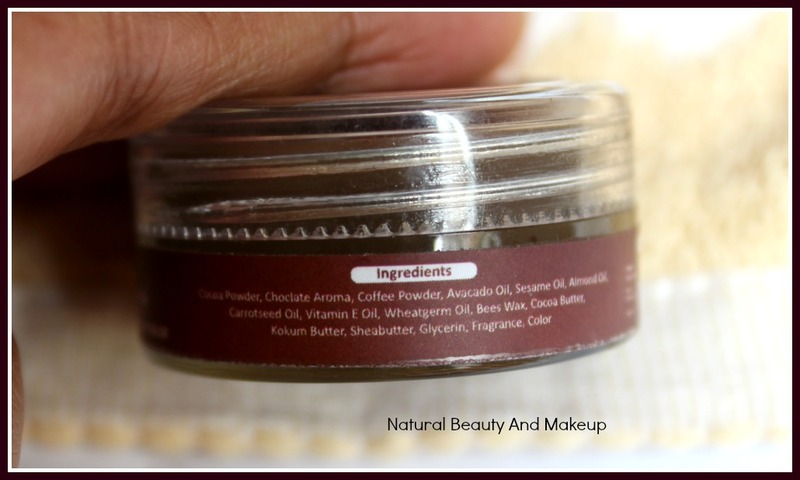 Wild Earth Dark Chocolate Lip Balm comes in a tiny glass jar labelled with all the necessary details. It is secured with a tight see-through cap which allows you to peek inside and see the colour and the quantity. The packaging is nothing fancy but looks cute definitely. 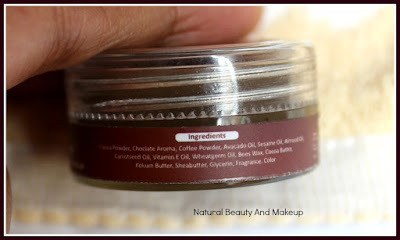 As it boasts of all natural healing oils and fragrance, the texture has to be super soft! 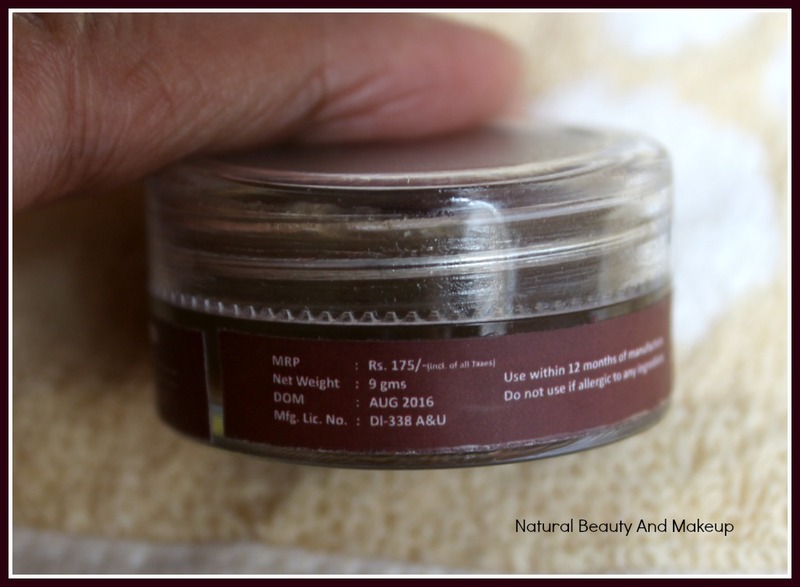 It glides smoothly on my lips and the fragrance is to die for! I am yet to notice whether it melts during summer or not. A little goes a long way, so it definitely is going to last me long. Personally, I am a fan of chapstick or tube kind of packaging for a lip balm as it makes the balms more convenient for travel & hygiene purpose. Nevertheless, this tiny jar didn’t disappoint me while travelling around (didn’t break), though I never used it outside with my unclean hands. Since this comes in a little jar, I prefer to keep it at the bedside and apply only when I am at home. 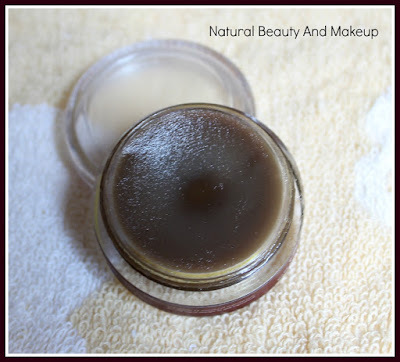 Usually, when I go out, I carry only stick balms (Tinted ones) not the jar types. When I bought this product, I thoroughly checked its ingredients on the official website and I found it quite satisfying. Upon application, it glides on lips effortlessly and seals the moisture in lips, keeping them hydrated for a good 5-6 hours. I need to reapply it for not more than two to three times a day, quite amusing! The shade is transparent, so if you are looking for covering lip pigmentation, it won’t help much. The lightweight formula of this balm helps heal my dry, chapped lips leaving them soft and smooth. Every time I open the jar, the sweet chocolate smell makes me go crazy! No really, it’s quite hard to stop myself from eating it!! Basically it smells like mix of coffee and cocoa powder, but somehow it reminds me of a chocolate that I would eat during my schooldays. Nostalgia! Since this is going to expire soon, I have been using this balm on a regular basis. Till date, I have not found any issues with it except it doesn’t contain spf. Nonetheless, it is infused with avocado oil which acts as a natural sunblock and shields our lips from harmful UV radiation. Overall, I am quite impressed with this lip balm. Wild Earth Dark Chocolate Lip Balm is a kind of moisturised lip balm which we always look for hydrating our dry lips. It makes your lips luscious and smooth naturally and if you are a coffee & chocolate lover, then do include this cutey in your vanity right away. 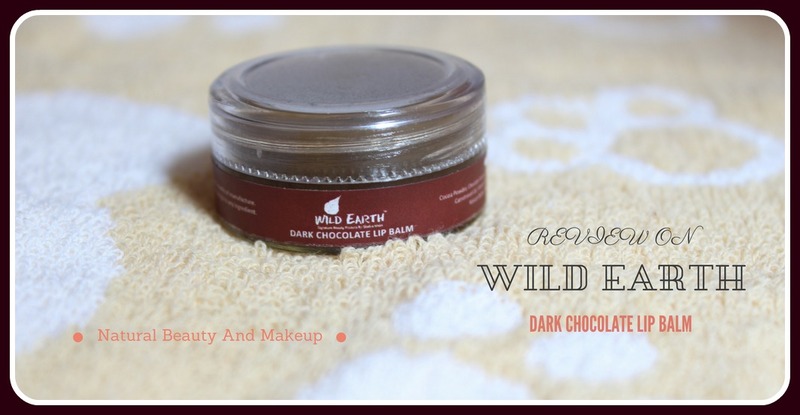 Have You Ever Tried Wild Earth Dark Chocolate Lip Balm? If Yes, Please Do Let Me Know In The Comment section Below. Nice review.. will try using for sure. It sounds really nice, bet it smells yumm. 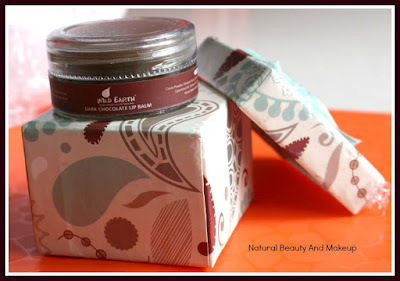 Sounds pretty amazing..and 4-5 hours moisturization is quite amaIng..loved the review..
Wild earth dark chocolate. Sounds like a dessert and is already making my mouth water ..yummm.. It's a great collection of wild earth dark chocolate lip balm. Thanks to share this beautiful wild earth dark chocolate lip balm. I believe makeup is an important part of women's life and a perfect lipstick gives a great look of hole makeup. I can't imagine a single day without my makeups. That's why I love to use my favorite Liquid Matte Lipstick for my lip.